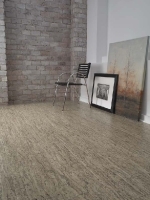 MODA Floors & Interiors has built a reputation for its ability to transform any flooring or window coverings trend to fit a client’s tastes. From the charming and traditional to the edgy and contemporary, MODA caters to both ends of the design spectrum and everything in between. The MODA team understands that home interior purchases are big decisions and the design needs to be a direct reflection of the client’s personal style. From conceptualizing initial designs to well after installation, MODA will guide you through the process while providing you with the peace of mind that the job will be done right. 1417 Chattahoochee Ave., Atlanta, GA 30318. Phone number: 404.477.3744. Monday-Thursday 9 a.m.-6 p.m.; Friday 9 a.m.-5 p.m.; Saturday 10 a.m.-3 p.m.; Sunday-closed.